As a uniform wearing member of the United States Armed Forces I viewed politics and the special interests that shape them as interesting, but largely irrelevant to my chosen profession. By law and regulation I could not actively participate in politics; I could not wear my uniform to political events (not that I would have), and if I expressed any disdainful remarks about our elected officials I would have certainly followed in the flaming death spiral of General McChrystal after his disparaging remarks about the administration went public in that scion of popular culture: Rolling Stone magazine. Once I hung my uniform up for the last time, however, those things that I found to be interesting and irrelevant became fascinating and important. Suddenly, I was a member of a “Special Interest” group. I became a retired veteran. Suddenly, instead of taking what came my way with a smile or a shudder (depending on what it was) I could make some decisions and express my opinion about things and issues. I could write this very blog and be critical of agencies and entities that I believe are not working in the best interest of veterans, and no commanding officer or general could haul me into his office and existentially threaten my career. I am not a muckraker by nature, but I have no problem occasionally rocking the boat by writing about things and expressing my opinion about them. That brings me to today’s post. Earlier this week I received a newsletter that the Marine Corps mails out to all of us retirees. It contains lots of useful information, such as contact information for various offices and a checklist for my wife to follow when I die to make sure that all of the paperwork associated with my demise is properly completed. It is a very factual and straightforward periodical. The focus of this particular issue is TRICARE. TRICARE, for those who are unfamiliar with the term,, is the medical care system for active duty and retired military members and their families. The long and short of it is that active duty personnel and their families can receive medical care for free, but once you retire you are entitled to continue receiving care but you have to pay for it. The cost of TRICARE is low in comparison to other plans, to be sure. It is not a panacea, however. It is a secondary or backup plan, so if you or your spouse has insurance through your job that plan comes first and TRICARE kicks in after that. You must submit co-pays for office visits and for prescriptions. You must pick a doctor from an eligible list of providers. It is a health care plan like most others, really, but not the golden egg as portrayed by the media. TRICARE is insurance for vets and their families. The VA provides healthcare for vets based on their service connected conditions, but does not provide services for their families. So, if a veteran has a spouse and kids he or she needs to enroll in TRICARE to be covered. In that manner it fit nicely with the Affordable Care Act that was passed in 2010. In that manner, it was also viewed as a cash cow to subsidize others who did not have health care, with proposed fee hikes of 345% for some TRICARE members. That, in my humble opinion, is exploiting a population of Americans who served their country, and as a result chose a career that was not as lucrative other pursuits. A four star general, certainly equivalent to the CEO of a large corporation, makes a little over $200K per year. How many CEOs of companys that employ thousands and tens of thousands of people make that little? Scale it down the chain, with most officer making half that much but with the responsibility of leading hundreds and thousands of men and women in combat. Is a 45 year old Wall Street hedge fund manager going to work for $90K a year and a pension of half that when he retires? How about $50 or $60 or $70K per year that the majority of military members are making when they retire from service with half of that amount as a pension? Hence the low cost of TRICARE to the veterans and their families. 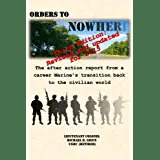 Military retirees pay an enormous opportunity cost in terms of lifetime earnings and employment possibilities to serve and defend their nation. TRICARE is part of the remuneration package for those who have dedicated their adult lives to the service of their nation. That brings me back to the newsletter I received in the mail the other day. It discusses the proposed hikes in fees that TRICARE will face in the years ahead, and although I won’t personally see a 345% increase in my monthly bill, I will see it more than double. Nice. To all of those who complain that I pay to little and that my family and I are somehow getting over on everyone else because we pay low TRICARE premiums, I say that until you pick up a rifle and serve 20+ years in places where people are actively trying to kill you while your family waits at home in fear for your safety your opinion is both meaningless and insulting. Decades of service in peace in war was the cost of membership in my “Special Interest” group, and if you aren’t a fellow member kindly shut your yap. Anyhow, that is my opinion. This entry was posted in Military Transition, Officer, Retirement, Transition Posts and tagged EAS, Retirement, transition, VA, Veteran, Veterans Administration. Bookmark the permalink. So your VA disability claim is settled. Now what?